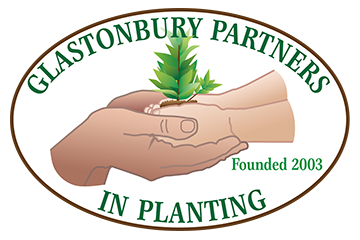 We are planting 20 trees in a cooperative effort with the Town of Glastonbury Parks & Rec and the Teen Center. We need help digging holes and placing bare root trees. If you want to learn how to plant a tree, this is the event to get a good education. Or, if you just like to dig in the dirt, please come join the fun. These 20 trees will be replacing the 20 dead trees killed by the invasive species – the Emerald Ash Borer. The Emerald Ash Borer is responsible for killing many Ash Trees in the country. Park at Home Depot on Putnam Blvd. One lane of the road will be blocked off by the police for us to work. Look for the GPIP signs. Winter planters will be filled with greens and decorative items to help brighten Town Center and S. Glastonbury Center during the winter. Instructions on how to make a beautiful winter planter will be provided. Bring clippers, pruners, and water bottles for staying hydrated. If you have greenery such as Holly, Blue Spruce, variegated winter greenery, Birch branches, dry hydrangea blossoms or anything that provides winter interest, please bring it too. Spray paint, ribbon, wire and some greenery will be provided. This is a very fun NON-GARDENING activity. Come join the FUN! Location: in front of the Chamber of Commerce building on Main St. Park in their parking lot. This is how we Keep Glastonbury Beautiful! Location: Meet in front of Nayaug Family Dental on Main St.
Come help plant the gardens at the Main Street Library. Many people only see the front entrance, but there is a beautiful slightly hidden patio that is great for catching a Zen moment. Bring gloves, trowels, and your personal water bottle. Plants are supplied, we just need hands to plant. We’re installing 120 perennial plants in the North Island. Bring small shovels, trowels, gloves and your water bottles. No experience necessary. Time to spruce up the grounds for the Seniors with beautiful planters. We will be installing plants in 15 planters. Plants are provided, so bring your gloves, trowels and a watering can. Of course a water bottle for yourself too. Always fun to visit with the Seniors while working, they are so appreciative. This is one of our most popular events. Please join us in creating the Town Center planters that everyone enjoys all Summer long. Bring your gardening gloves, hand trowels and willingness to create. A water bottle for yourself is important too. No experience necessary. We work under the beautiful Copper Beech on the front lawn of the Library, so no worry about the sun. This event is so much fun! Spring Spruce-up at this lovely garden. This is our xeriscaping garden, meaning drought tolerant. It requires very little water and maintenance. However, we need to get it ready for Summer with some trimming, weeding and top mulching. Bring your clippers, hand weeders and personal water bottle. Many hands make for quick work. Visitors can help GPIP start preparing and planting the kitchen garden. Children can make paper pots for kale seedlings which they can bring home and grow in their own gardens. Come join in the fun! Spring Clean-up – Raking, edging, deadheading daffodils, pruning roses. Bring gloves, pruners, rakes, edging tool and rinking water. Shouldn’t take long if we get enough people. Location: next to Firehouse at the intersection of Hebron Ave & Manchester Rd.